I work as a Postdoctoral researcher for European Commission’s Joint Research Centre within the project HUMAINT on Explainability and Fairness in Machine Learning. I have a PhD (2018) in Computer Science (Audio Signal Processing and Machine Learning) from Pompeu Fabra University, Barcelona. Download my resume or check my Linkedin page. 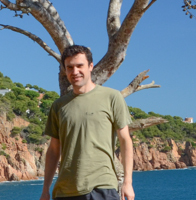 Having more than 6 years experience as a software engineer, in 2010 I gave a new start to my career by moving to Barcelona to start a Master’s in signal processing and machine learning applied to music. Then I worked as a Research engineer for the research institute INESC in Porto, where I was involved in a project aiming at modelling groove, and I developed a few real-time tools for audio analysis and transformation. In 2013 I have started my PhD at Music Technology Group, Pompeu Fabra University, Barcelona as a part of an European FP7 project which was aiming at transforming the way classical music is enjoyed. My PhD thesis concerned separating the audio corresponding to the instruments in an orchestral music mixture. I gave a new flavour to the topic by proposing a deep learning approach. I code in Python and C++, mainly using open source library and I try to publish everything I do as open source. I aim at making my work transparent and reproducible, so I can foster future development and creativity.